11 2 Peter 2:17-22 Freedom, slavery and sin Peter warns that the false teachers are like springs without water, promising freedom but delivering destruction and they should not be deceived by their empty promises. 12 2 Peter 3:1-7 The Point of it all Peter argues that more than anything else we need to find life through forgiveness and to find fulfillment through righteousness. It is this hope that he wants us to remember such that we let it change our lives today. 13 2 Peter 3:8-9 Free will and God’s sovereignty 2 Peter 3:8-9 features in the debate over God’s sovereignty and human free will. While this verse does not settle the debate, understanding what Peter means in context teaches us a lot about both good Bible study and the issues in the debate. 14 2 Peter 3:10-18 The Second coming and what it means for today Peter concludes the letter by discussing the end of the age, the return of Christ and what that tells us about how we should live now. Gospel of Luke Resources Everything you need to kick start your study of the Gospel of Luke: maps, charts, key words, history, background, outlines, and links to help you study. 2 Corinthians Study Resources Everything you need to kick start your study of 2 Corinthians: maps, charts, key words, history, background, outlines, and links to help you study. Why is the New Testament written in Greek? Why was the New Testament written in Greek while the Old Testament was written in Hebrew? Read through the Bible 2019 Have you decided to read through the Bible as one of your New Year’s Resolutions? Here’s a great selection of updated plans to help you keep that resolution. 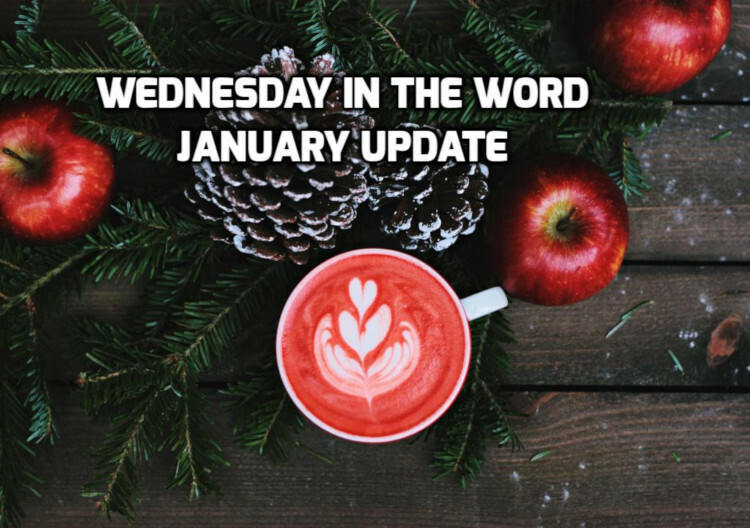 2018 Reflections on Wednesday in the Word A look at what we added to the blog in 2018, the most popular podcasts of the year and the all-time favorites. Attitude matters in Bible Study Why do we have so much interpretative disagreement over the meaning of the Bible? Two explanations: one we can solve and one we can’t. If you can only do one, telling a friend is best. Thanks for listening!